Ball Size: EB: 2 in. ; SBO: 2-5/16 in. Shown with options. Hitch Height of ball will increase 4” if equipped with Surge Disc brakes. Measure your particular vehicles for model size needed. The tongue weight for all trailers is recommended to be 7-10% of GVWR. Please note: It is the responsibility of the purchaser to adhere to the brake laws regarding trailers. For full information on the laws in your state, contact the appropriate State Motor Vehicle Department. Brake options will change the overall length of trailer. Brake options are surge disc brakes or electric drum brakes. Contact your local dealer for order lead times. All trailers ordered without brakes will have a GVWR of 2995#. Specifications, parts, and accessories can change without notice. 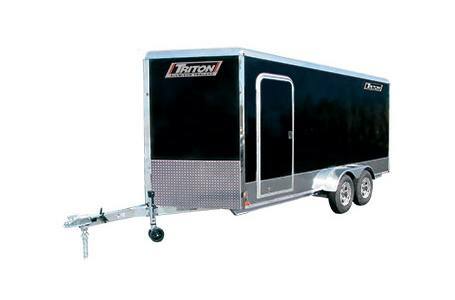 Trailers are based on 7’6” high box heights, take 100 pounds off the trailer weight for every 6” that the box is shorter in size. The CT85 and CT105 are based on a 7’ high box, take 50 pounds off the trailer weight for every 6” that the box is shorter in size.